Do you get internet withdrawals? A new Canstar Blue survey has revealed that 39% of Kiwis feel stressed when they can’t get online. In the regions, Aucklanders are the most likely to get pangs of anxiety when disconnected (47%) while those in Otago are the least worried by being away from Wi-Fi (23%). When it comes to the genders, women (41%) are more anxious than men (38%) when away from the internet. This isn’t surprising as our online and offline worlds are continuously merging, and new technology is consistently released to upgrade the way we do our jobs and how we conduct our personal lives, says Canstar New Zealand General Manager, Jose George. 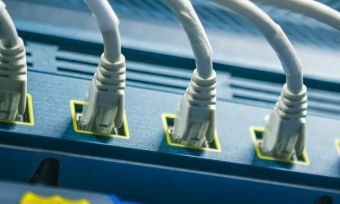 “On average Kiwis are spending 3.2 hours a day connected to the internet showing just how pervasive internet usage now is, and our reliance on it. But not always with positive effects – 10% of New Zealanders say that the amount of time they are spending online is negatively impacting their relationships. Cantabrians are the most disconnected of the regions averaging just 2.7 hours per day. A quarter of New Zealanders often feel guilty about how long they spend online but aren’t motivated to do anything about the number of hours glued to their screens. Those in the Waikato are feeling the most guilty (30%) about their internet usage whereas Wellingtonians are much less bothered by the hours they spend online (20%). Somewhat unsurprisingly it’s the younger generations who are feeling pangs of shame about the hours they spend plugged in to their devices with 41% of 18-29 year olds saying they feel remorse but won’t change their habits, says George. Women (23%) are more likely than men (19%) to spend their socialising time online rather than in a room with friends. Many Kiwis cite boredom as the reason for spending so much time online, with 41% saying that they waste a lot of time surfing the internet for lack of better things to do. 18-29 year olds are the most likely to jump on their devices when the day is feeling a bit dull (71%) compared to 28% of 50-59 year olds who don’t want to waste too much time online. Of the 22% of New Zealanders who currently subscribe to a paid video streaming service, the majority choose to partner with Netflix (66%). The global streaming giant is particularly popular with Aucklanders (69%) and women (69%). The next biggest contender is Kiwi owned Lightbox with 32% of New Zealanders choosing this service, distantly followed by Sky TV’s, Neon (6%). This year, the Canstar Blue Consumer Satisfaction Award has gone to 2Degrees who received 5-stars for overall satisfaction with their services and a near clean sweep of 5-star ratings across the board. 2Degrees are obviously a crowd favourite as they were the only brand to be awarded a 5-star rating in any category, let alone six of them, says George. The number one driver for satisfaction when it comes to broadband providers is customer service (29%), closely followed by value for money and network performance (24%).